A Wisconsin jury has determined that a teenage girl accused of attempted murder for her role in an attack on a classmate was not mentally competent to have fully understood the consequences of her actions. 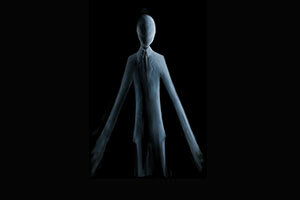 The attack was motivated by a desire to appease the Slender Man. The jury’s decision was heavily influenced by three psychology expert witnesses. As a result of the verdict, the girl will not face prison time. In 2014, Anissa Weier and Morgan Geyser, both 12 at the time, conspired during a sleepover to fatally stab their sixth grade classmate, Payton Luetner,who was also 12. In the late morning after the sleepover, Weier and Geyser lured Luetner into the woods where Geyser stabbed her 19 times before leaving her to die. Luetner survived by crawling to a nearby road where she was noticed by a passing cyclist, but the attack left her severely scarred and near death. Weier and Geyser were discovered by police soon after the attack as the two girls were walking down a major Wisconsin highway. During police interrogation, Weier and Geyser admitted to the stabbing, and claimed that they attacked Luetner in order to appease the Slender Man, a mythical figure created on an online forum that quickly became an Internet bogeyman through crowd-sourced additions to the story. According to the fabricated legend, which began sometime in 2009, the Slender Man, a tall, faceless figure, lures children to a paradise reality where they are free of the pain and suffering of this world. In exchange, the Slender Man demands blood sacrifices from its proxies in order to ensure their safety and that of their families. Weier and Geyser were picked up by police walking towards what they believed to be the Slender Man’s home in a wooded area of Wisconsin. After the arrest and subsequent investigation, both girls were deemed eligible to be tried as adults, and faced several decades in prison for attempted murder. Weier, who was sold on the concept of the Slender Man by Geyser, has admitted to police that she went along with the attack because she was convinced by Geyser that her family would be in danger from the Slender Man if she did not participate. Before the start of Weier’s criminal trial, she agreed to plead guilty to attempted second-degree intentional homicide, with a recommendation from prosecutors that she serve a 10-year sentence if she was found to be criminally responsible. To determine whether or not Weier could be found criminal responsible, prosecutors and defense attorneys presented evidence to a jury about her mental state. Defense attorneys for Weier relied on testimony from three psychology expert witnesses to argue that the defendant, who was 12 at the time of the attack and has shown symptoms of mental illness, did not have the capacity to know her actions were wrong or conform her behavior to the law. Two of the psychologists were appointed by the trial court, while the third was hired by Weier to evaluate her. Melissa Westendorf, a court-appointed psychology expert witness, was the first to testify regarding Weier’s mental condition at the time of the attack on Luetner. According to Westendorf, the defendant could not distinguish between the fake stories of the Slender Man and reality, which enabled her to be misled by Geyser and engage in the assault. Westendorf told the court that it was not uncommon for people who suffer delusions to keep them hidden from friends and family members, and testified that it was not impossible for Weier to believe in the Slender Man without talking about him to others beside Geyser. Gregory Van Rybroek, the second court appointed psychology expert, echoed Westendorf’s testimony, and told jurors that it was possible Weier and Geyser experienced a shared delusion about the Slender Man which blocked their ability to conceptualize the consequences of their behavior. Finally, Michael Caldwell, a staff psychologist at the University of Wisconsin who was hired by the Weier family to evaluate Anissa, took the stand and testified that he believes the defendant suffered from persistent depressive disorder. He concurred with Westendorf and Van Rybroek that the combined effect of Geyser’s friendship and the Internet’s ability to make a myth appear to be real drove Weier to commit the crime. Caldwell told jurors that the website Creepypasta, where the the origins of the Slender Man myth began, was “very convincing,” especially to an impressionable girl of 12 whose brain had not fully developed. Although all experts agreed that shared delusions are rare, they argued that Weier showed symptoms consistent with delusional behavior which impaired her concept of right and wrong. Testimony by the three psychology experts in favor of Anissa Weier proved sufficient for a finding that the defendant was not criminally responsible. As a result, Weier will likely spend up to three years in a mental hospital receiving treatment for her disorder before she can be eligible for release. Geyser, who has been diagnosed with early onset schizophrenia, faces trial next month. She will also likely rely on psychology experts to support an insanity defense.